An Overview of HCaTS: A Government-wide IDIQ – The Center for Organizational Excellence, Inc. The Center for Organizational Excellence, Inc., (COE), provides federal agencies with customized training and development, human capital strategy and organizational performance improvement solutions as a prime contractor on the GSA Human Capital and Training Solutions (HCaTS) contract vehicle. HCaTS is a partnership between the General Services Administration (GSA) and the Office of Personnel Management (OPM) to improve the performance of the federal workforce through highly efficient, innovative, and flexible human capital and training solutions. The vehicle has a 10-year ordering period and a 16-year delivery period and is available to all federal agencies. HCaTS can be accessed directly by agency contracting officers via a delegated procurement authority or through assisted acquisition services provided by OPM. COE received an unrestricted award for both Pool 1—Training Solutions and Pool 2—Human Capital Solutions. 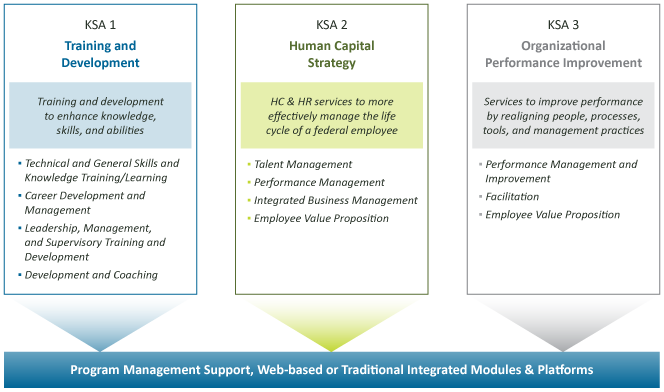 HCaTS solutions are arranged across three key services areas (KSAs) encompassing a broad range of customized training, human capital, and organizational improvement services. HCaTS is available to all federal agencies (CONUS and OCONUS). Why should your agency use HCaTS? The HCaTS contracts should be used by all agencies acquiring services in this category. They meet rigorous Office of Management and Budget (OMB) category management performance criteria, resulting in the designation of OMB Best In Class contracts, which means that they are ‘good-for-government’. 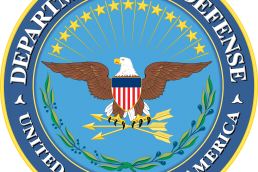 Assisted Acquisition: OPM performs the acquisition on behalf of the customer agency and provides post-award support as negotiated with the customer. For more information about assisted acquisition, please contact OPM at (202) 606-0482 or TMAP@opm.gov. Fixed-Price, Cost-Reimbursement, Time-and-Materials, Labor-Hour, and hybrid. If you are interested in becoming a partner with COE on HCaTS, please contact Robert Schildwachter via the contact information above, or download the HCaTS Info PDF by clicking below. Download the HCaTS Info PDF now! The following documents include contract Sections A through K and all modifications issued within thirty (30) days. There are no sustainability disclosures. If you would like to learn more about the HCaTS vehicle, please visit the GSA portal website by clicking here.